Serbia's Novak Djokovic, right, is congratulated by Canada's Denis Shapovalov after winning their third round match at the Australian Open tennis championships in Melbourne, Australia, Saturday, Jan. 19, 2019. So far the older guys are holding court against the new generation at the Australian Open. On Saturday, 31-year-old Novak Djokovic beat 19-year-old Denis Shapovalov 6-3, 6-4, 4-6, 6-0. A day earlier, it was 32-year-old Rafael Nadal defeating 19-year-old Alex de Minaur 6-1, 6-2, 6-4. 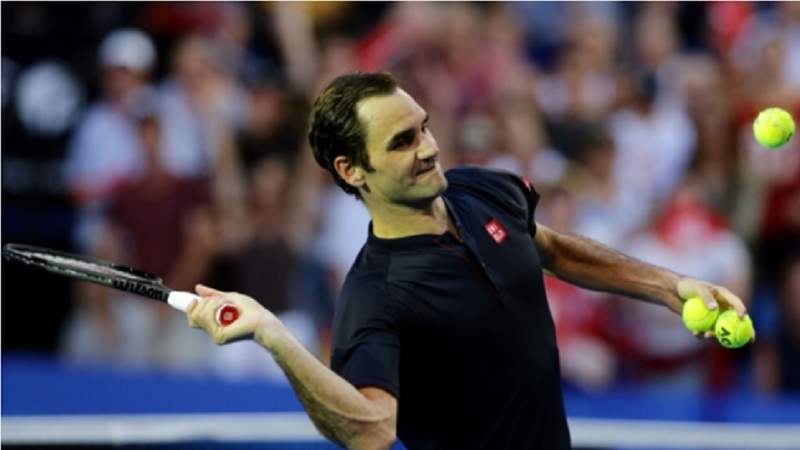 And on Sunday night, the elder statesman of the group, 37-year-old Roger Federer, faces 20-year-old Stefanos Tsitsipas in a fourth-round match at Rod Laver Arena. It will be Federer's 101st appearance on the tournament's main show court — and Tsitsipas' first. 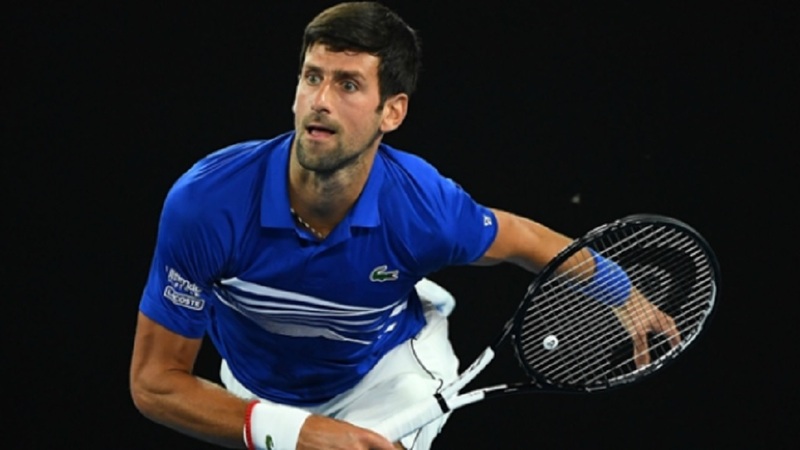 "It's great to see new faces and it's great to see young players challenging the best players in the world," Djokovic said. "I salute that and I respect it a lot." While Shapovalov and de Minaur professed to having nerves playing two of their idols, and Tsitsipas has said he expects the same against Federer, all three of the youngsters have credentials and a game that earmark them for the sport's future once the Big 3 call it a day. Tsitsipas won his first title last year and his ranking rose from 209 in 2016, to 91 at the end of 2017, to 15 at the end of last season. De Minaur won his first ATP title at the Sydney International last week and also saw his year-end rankings improve from 354 to 208 to 31 of late. Shapovalov made the semifinals at three tournaments in 2018, and his year-end rankings have soared from 250 to 51 to 27. All they need is more experience playing big matches against big players at big venues. 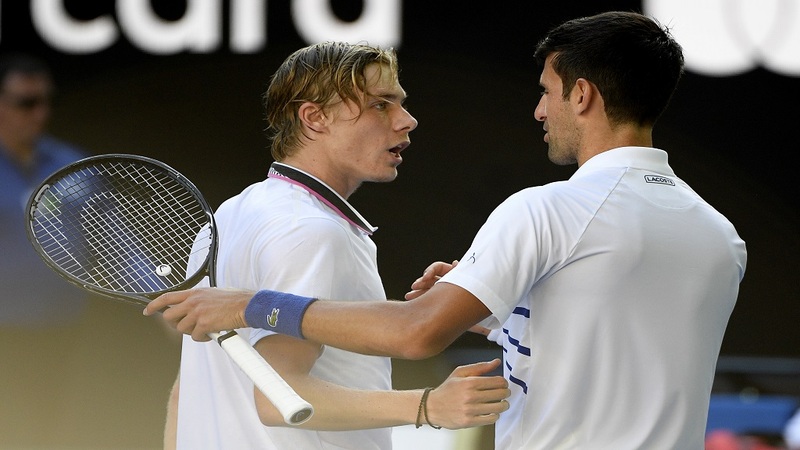 "It was a little bit difficult for me in terms of it's not every day I'm playing a match against a top guy like this on a stage like that," Shapovalov said. "Definitely I was a little bit nervous, a little bit tight on everything, just hesitating a little bit." The jitters went away eventually and he ended up taking a set from Djokovic. "That's when I kind of loosened up and started playing my tennis, I just started really just enjoying myself," Shapovalov said "I told myself, 'Look, you're already down two sets, so just have fun out there'. That's where I felt like I really started to play my game and really showed what I can do." "He's definitely a guy that he doesn't give you much. That's why he's No. 1 in the world. I'm definitely mentally a little bit tired right now. Kind of want to take a nap." Nadal was impressed with de Minaur, despite the Australian only taking seven games off him. "He has that extra energy that the young guys have," Nadal said. De Minaur said the match was a lesson well-learned. "This is what you want to do," he said. "Now I've got to go back and get better. I have plenty of areas to work on and improve. Hopefully next time around I can have a bigger crack." Tsitsipas gets his turn against Federer. "I'm happy for him," Federer said. "He's playing so well, and I'm looking forward to the matchup with him. I think it's going to be a good one. I like how he mixes up his game and also comes to the net. So I think we will see some athletic attacking tennis being played." 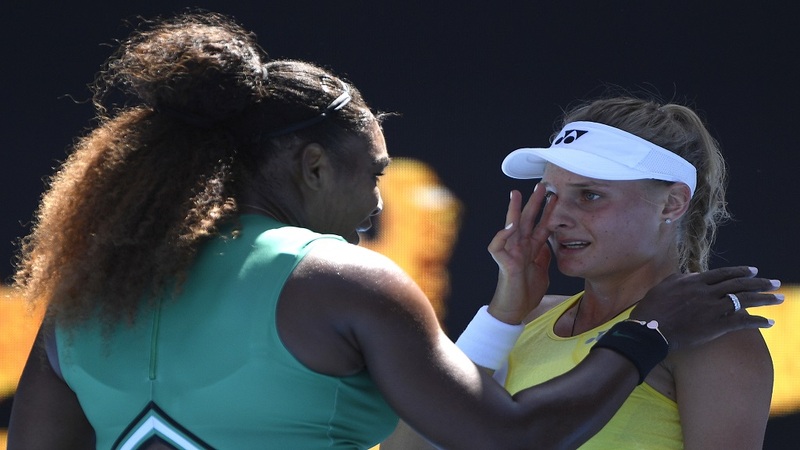 The two have never played an official match, but they did face each other at the Hopman Cup exhibition event two weeks ago. "I learned a lot since my last match with him and I know the patterns that he's using a bit better now," Tsitsipas said. "He's serving really well, so I'm going to have to take advantage of my returns as much as possible and be aggressive." The bottom line for Tsitsipas is it's amost impossible for a 20-year-old to prepare sufficiently for a 20-time Grand Slam singles champion. "Yeah, he's a legend of our sport," Tsitsipas said. "It will be a great day facing him."